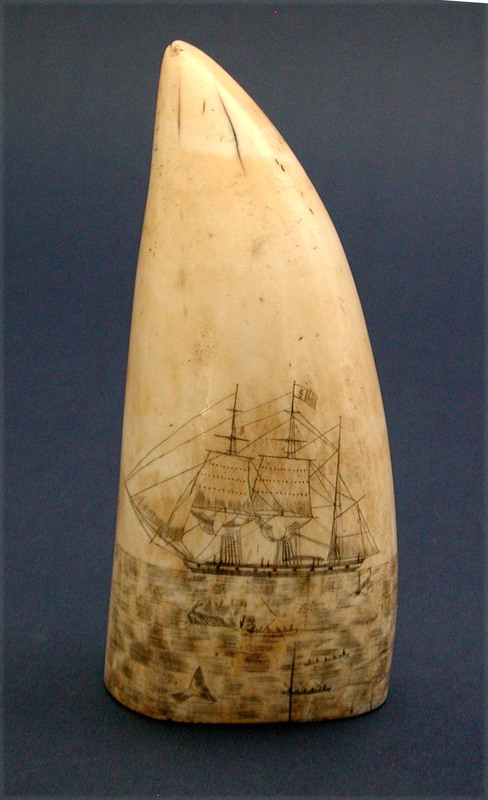 19TH CENTURY SCRIMSHAW TOOTH WITH A WHALING SCENE. Engraved one side with a nicely executed view that depicts the port view of a bark with all her whaleboats actively engaged in whaling. Finely done and nicely detailed showing several whaleboats and two whales. Bark flies house flag with the letter "S". Condition excellent. Nice age color throughout. 5 3/4" h. x 2 1/2" w. Circa 1840.